Sunshine birds | And mightymouse pronounced . . . . You Must Create! Its the biggest set I’ve made to date – They were commissioned by a friend to go in her new kitchen, and I wanted them to really stand out against her feature wall. As it turned out, the set was big enough to flow across two walls… I’m really stoked with the transition of the set from the overcast grey and onto the sunshine yellow. Loving how they work with their drop shadows! 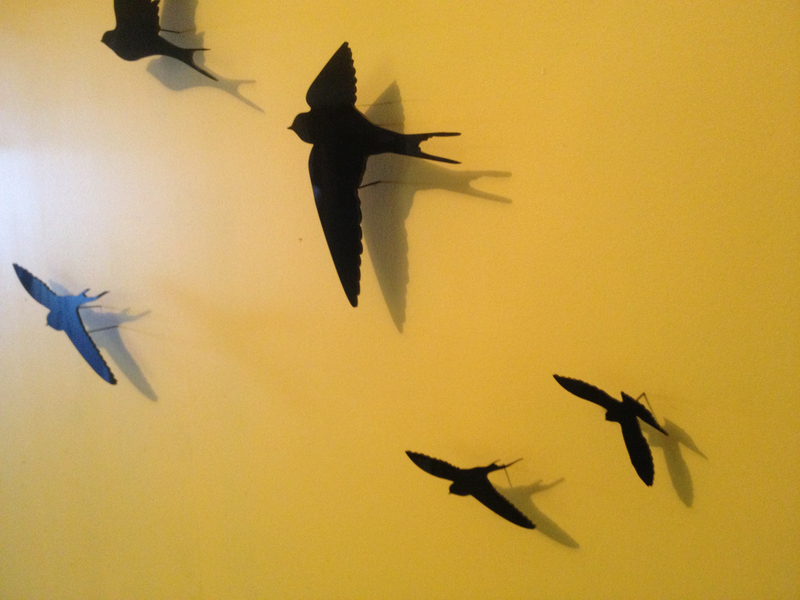 This set of swallows was cut from a gloss black acrylic, so the birds have a reflective surface if viewed from some angles as seen in a couple of the photos. 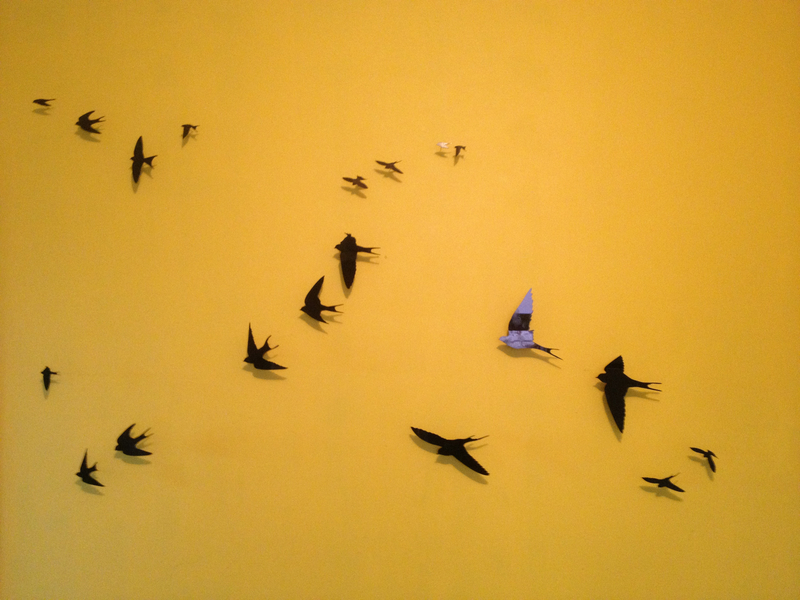 I also make these swallows out of mat black acrylic, gloss or mat white acrylic, and repurposed 33” vinyl records. I can be contacted via my felt shop if you are interested in commissioning a set.